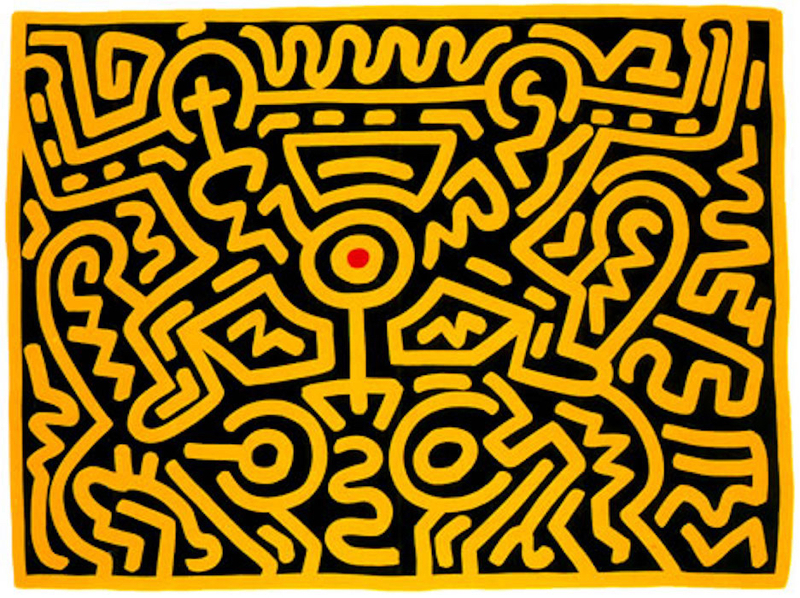 Growing by Keith Haring – Keith Haring’s 1988 series titled Growing is a collection of 5 screen prints. 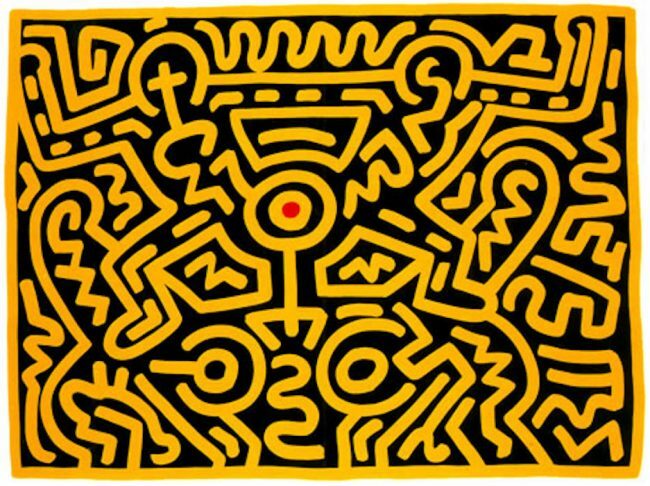 Keith Haring is recognized for his exclusive use of black and white, and typical use of primary colors, the figures were simplified, and easily recognizable as his. They formed glyphs that could be read, like an urban, tribal language.